We are currently living in a guest lodge. It is a nice place and I should know because I spend a lot of time here. We still only have one car and I'm not at the point in my driving (too scared) to where I can drop Mr. Deep off at work and keep the car for the day. So most days I am home during the day hanging out in my little one room "apartment" or outside on the grounds. One day, I got to chatting with the lodge housekeeper when she came in to make up our room. After talking for a little while she asked me where I was from. When I replied the United States, she said "oh I thought so." It turns out that it wasn't my accent that gave me away it was the giant box of 500 Q-tips. She said Americans always have big boxes of Q-tips. I asked if Europeans and Africans use Q-tips and she said they do but they "would probably only have a box of about 100 at one time." 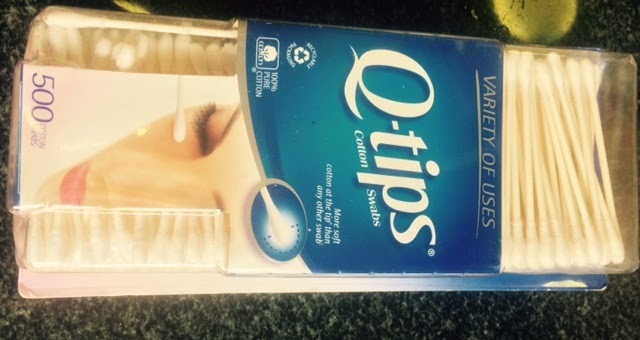 She then asked me why we need so many Q-tips - did I use them for putting on make-up or something? I really didn't have a good answer for this one. I wish I could say that I stocked up thinking maybe they wouldn't sell them over here but that's not it because Mr. Deep and I have been using this box for over a year. I mean let's face it, using up 500 Q-tips takes time.